Values are more than just what you have been told is important in life. They are the pathway to happiness, well-being and successes that you will actually be proud of. No more falling in line with what others think, failing to prioritise your agenda and living life at a 5 or 6 out of 10. It's time to live with authenticity, courage, and purpose. Find your Values . . . walk your path. Having worked with hundreds of individuals in different life circumstances and situations, I have repeatedly seen the power of understanding one's Values. plan your days, weeks, months and years so that you live without regret of failing to do what is most important to you. In case you don't know much about me, my name is Joe and I'm a Business Psychologist and Coach from sunny old England. I've spent many years working with individuals to navigate their careers, enhance their leadership skills, develop useful mindsets and apply Psychology to all aspects of their lives. And from all that I've seen, the one tool that has the biggest impact on people who are lost for direction in life is ... you guessed it ... it's Values. One of my top Values is having a positive impact on those I serve. Thus, my mission is to support you in your journey through life and in your career. I look forward to hearing how you get one with this programme and hope to meet or speak with you one day in the future. 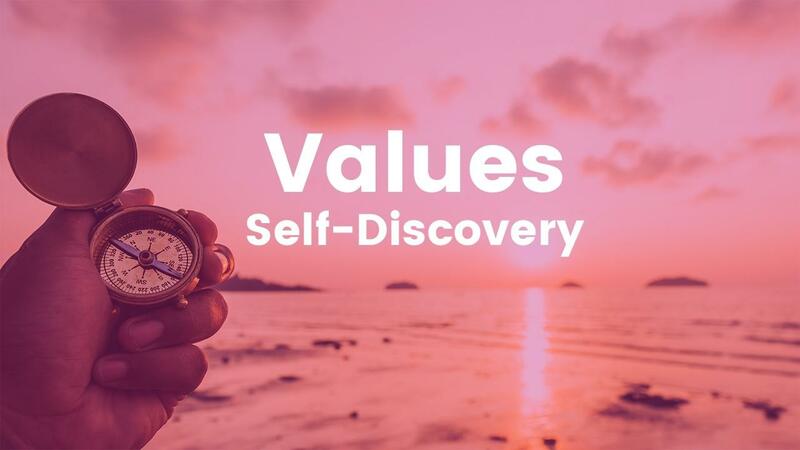 Get to know yourself through your Values and discover the important ideas that should be driving your decisions and behaviours.